Welcome to Silver Sage Village, a cohousing community in Boulder, Colorado where 24 “Sagers” share a commitment to living and aging in community. 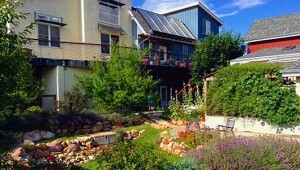 Silver Sage Village opened in 2007 as one of the first senior cohousing communities in the country. Built with input by future residents, SSV was developed by Wonderland Lake Development Company, whose founder, Jim Leach, is a leader in cohousing and is himself a homeowner at Silver Sage. Silver Sage Village is located in the rapidly transforming and artistic “NOBO” area of north Boulder. Our community is within walking distance of open spaces and hiking trails, restaurants, galleries, a library, grocery store, doctors, dentists, wineries, gyms, and free public transportation. Sagers are enthusiastic about the philosophy of “Aging in Community” and are actively exploring ways we might accomplish this. We are musicians, volunteers, cyclists, hikers, cooks, gardeners, artists, loafers, adventurers, writers, scientists, travelers, readers, philosophers and crafters—interests and talents that make our community a vibrant place to live. While many of us are retired, a number are still employed in a variety of occupations, further adding to the vitality of our community. To learn more about our community please submit our Get in Touch form and one of our members will contact you. If you are interested in visiting Silver Sage Village, we would be glad to arrange a tour of the grounds and buildings, including our Common House, woodworking shop, gardens and artists’ co-op. We would also invite you to a potluck to meet our community, and we have a guest room available for a nominal fee if you are coming from out of town. Let us know what you would like on our Get in Touch form. 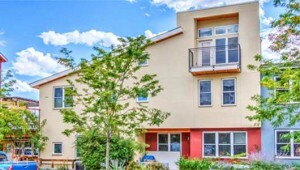 Silver Sage consists of ten “market rate units” and six units that are designated “permanently affordable” by the Boulder Housing Authority. 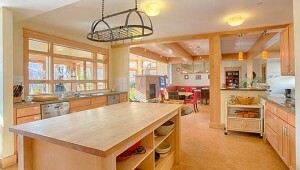 We occasionally have homes for sale and rentals. See what’s currently available.